Domes | Electrosmog Busters – "Who you gonna call?" And, here is a video of our dome under construction! We design and build dome structures, in many different configuration options, including built-in EMF/RF shielding. Domes are very economical to build – many times less expensive than regular construction! And, much faster to build! Domes have been proven to withstand strong winds, hurricanes, and earthquakes, are low maintenance (no shingles to replace, awnings, or paint to worry about), and are very pleasuring to the eye. They blend into a landscape with nature better than a square building. The dome shape is more energetically harmonious and beneficial for multipurpose dwellings, healing spaces, and work areas. Our domes come with hard-shell or soft exteriors – the choice is yours. Domes can be configured with greenhouse setups and water regeneration capabilities. Contact us for more information about a dome solution for you. – Coming soon: dome blueprints, building guides, and complete dome kits! Please send me more information on Dome structures (permanent/home dwelling) with EMF shielding. 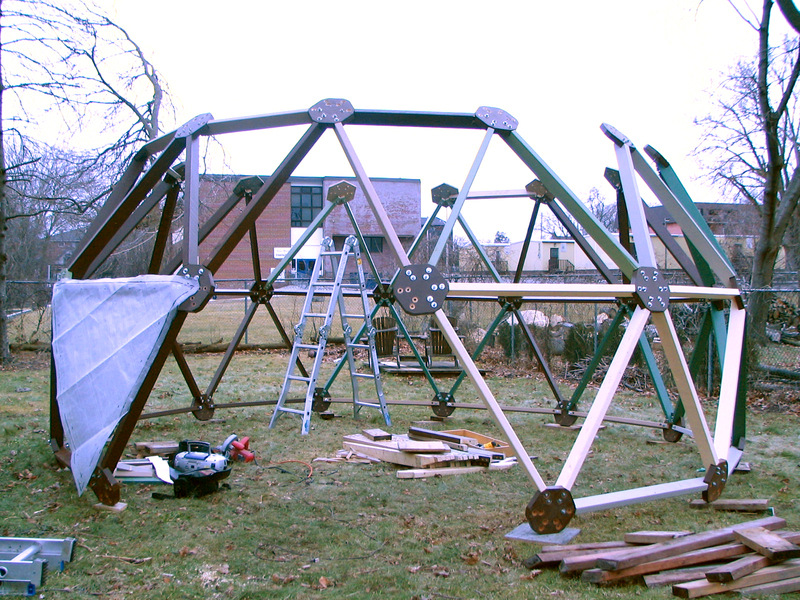 A new dome prototype is being constructed right now. We will have more details soon, including some video and pictures. We are planning to offer several multi-use dome options of various sizes and configurations. Please check back!